› Sim only for kids? 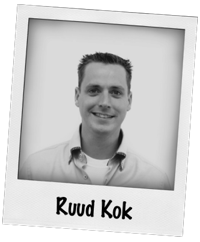 Best Sim Only was founded in 2008 by Ruud Kok and has been one of the leading sim only comparison websites ever since. In the early days we we’re among the first price comparison websites for sim only contracts in the UK, and during the 7 years we’re in business we’ve learned a lot. By now we don’t need to check all prices manually anymore, since the networks provide this information for us. Of course we still check everything to make sure we can guarantee the quality you might expect from us. In addition to the price comparison we’d like to give you as much information we can to help you save money. This includes us doing research regularly, and answering all questions that are asked in our contact forms. In the end we want to help you out finding the best possible sim only plan at the best possible network for your specific situation. At BestSimOnly.co.uk you can easily find the best suitable sim only plan that fits your personal phone habits. Best Sim Only combines the complete offerings of all 8 mobile networks, and selects the best offer for your specific situation. At BestSimonly.co.uk you will undoubtedly find the best deal at this very moment. Our staff is checking prices and deals on a daily basis. That should assure you that our website is always up-to-date. Ever since we started out in 2008 we have made it our goal to help consumers save money on mobile phone costs, so we can all stay connected to each other, carefree. We try to do this by not only comparing the cheapest sim only plans, but also collect additional tariff information and by writing up some of the best saving tips. Why choose Best Sim Only? We are the only sim only price comparison website which combines the offerings of all 8 mobile networks. At most of our competitors the possibilities of comparing both phone and internet usage are far less extensive. Also we added an additional layer of information by offering consumer reviews for most mobile operators. Everyday our website is updated with the latest sim only offers. We have no gain in ‘promoting’ specific offerings. Inclusion on the website, as well as ranking the offers is done completely automatically, based on prices, plan specifics and popularity. Using Best Sim only is free and without any obligation! On the website of Best Sim only tell us about your mobile phone usage, and our database will be looking for the best deals that meet those needs. Best Sim only does not sell devices or subscriptions. When you have found a suitable SIM-only plan, you are forwarded to an external webshop, e.g. a mobile network. There you can order the plan of your choice. Best Sim Only won’t give your personal information or search queries to any third party. We only refer you to offers on the website of the provider of your own choice. Best Sim Only compares the cheapest sim only deals. You can compare sim only offers of EE, Virgin, O2, 3, Talk Mobile and Vodafone.